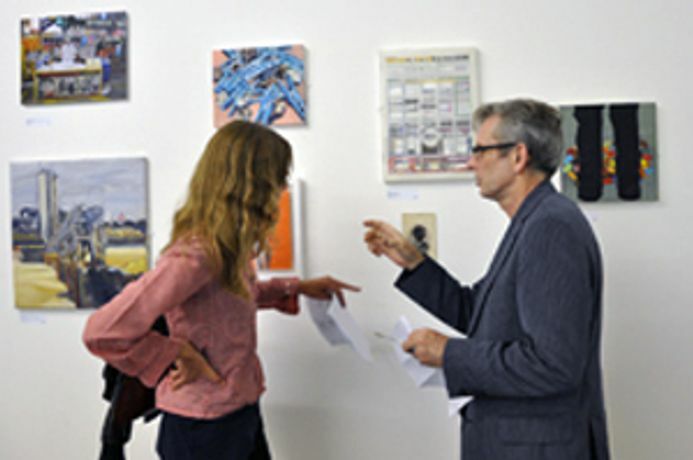 Graham Crowley and Kiera Bennett discuss the show and how the work was selected. ArtWorks Open 2011 exhibition features 53 works selected by artists Graham Crowley and Kiera Bennett from over 400 hundred submissions. A first prize of £1,000 and a solo show was awarded to Luke Jackson. Nick Powell won the second prize of £500 and a solo show. The judges commended 6 artists for their outstanding works: Geir Moseid, Stephen Buckeridge, Matilda Bevan, Kate Bowen, Michael Lawton and Nadja Gabriela Plein.